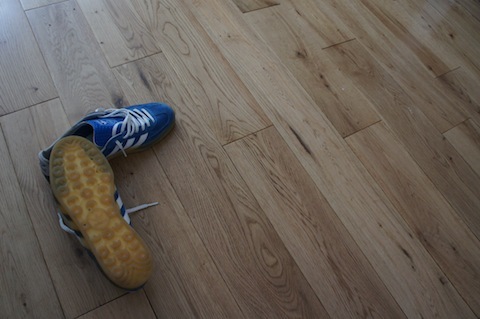 Struggling to get these in before the end of the day. 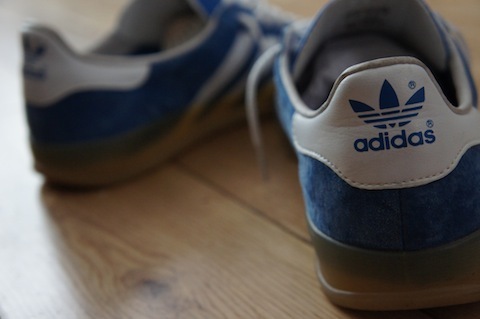 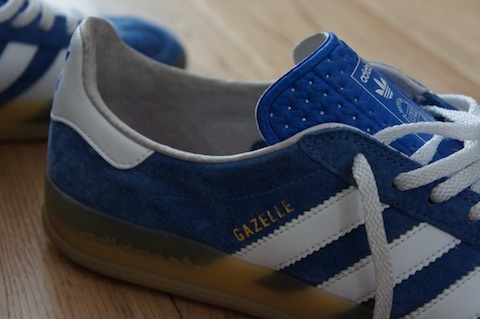 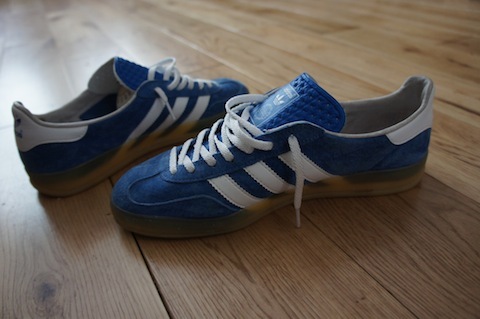 Another fine retro from the Adidas archive the Indoor Gazelle. 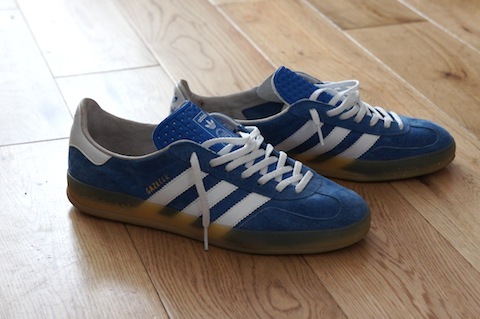 These are so comfy and that original blue in soft pigskin leather is just killer on these. 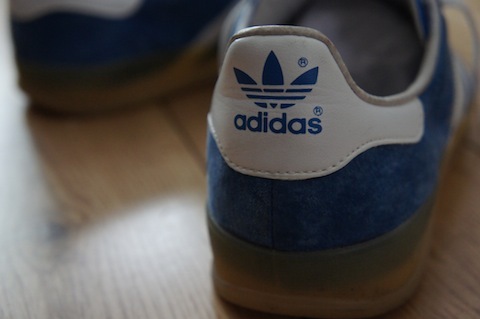 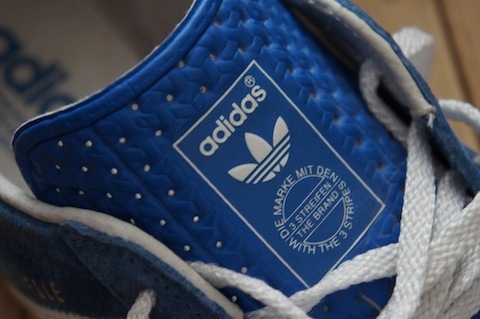 Add to that the see through sole and these are classics, so glad they got retroed. 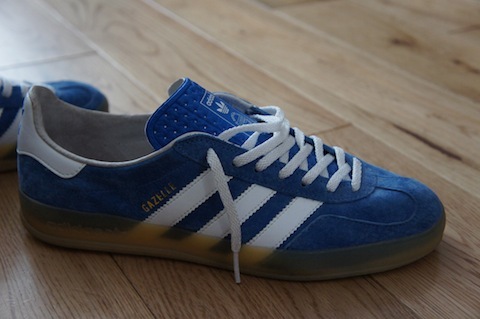 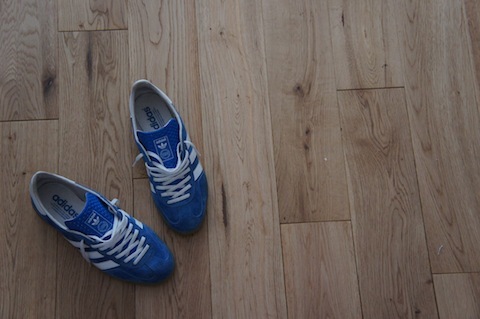 Pair 25 of 365, Adidas Gazelle Indoor. 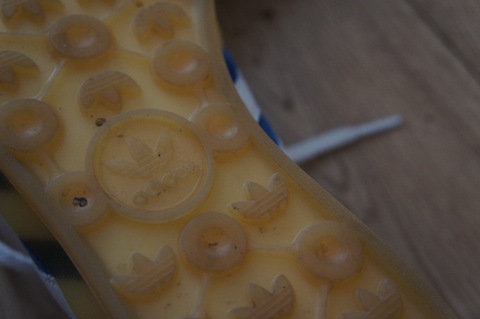 Nike Air Foamposite One – Supremed?